The primary goal of this master bath renovation from our clients’ perspective was to move away from the traditional dark bronze fixtures, heavily textured tan glazed walls and tumbled travertine tiles to a more modern design that is lighter and brighter with clean lines. We assembled our design team that included our architect and interior designer to collaborate on the project and get the creative juices flowing. 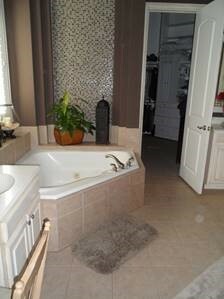 Grey vertical grain travertine 12 x 24 tiles with a non-slip honed finish was installed in an offset brick bond pattern for the floor and tub walls. A glass tile inlay border follows the perimeter of the space. 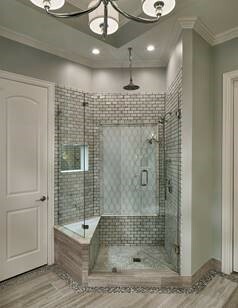 White Carrera beveled brick tiles used for the shower walls. 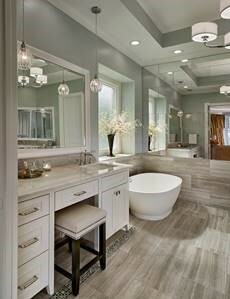 The tile insert features a Denali patterned glass mosaic tile accent. 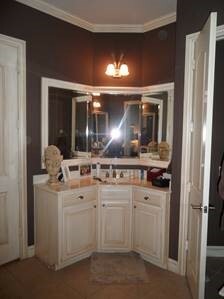 A recessed shaving mirror was installed for him with mini LED puck lights. 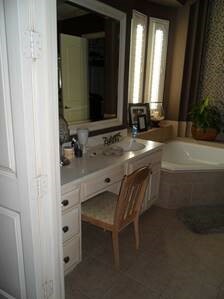 The furniture style cabinets feature inset doors with shaker style panels. The countertops are Blanco Perses 2cm marble with beveled edges. 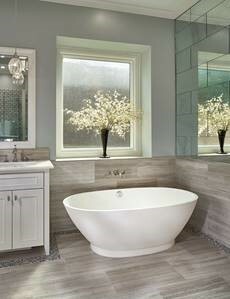 Plumbing fixtures include a beautiful freestanding soaker tub from MTI, Newport Brass faucets and shower fixtures that feature a rain head and hand shower. The decorative lighting fixtures are Hudson Valley and Uttermost. 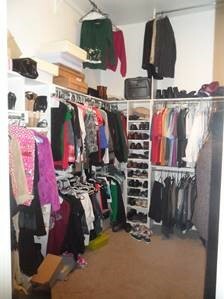 New recessed lighting with dimmable LED fixtures were used for general and task lighting. 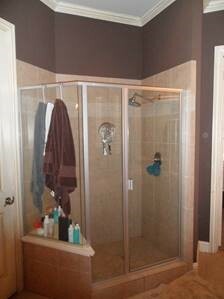 The picture window was replace with a Marvin wood window with rain glass for privacy. 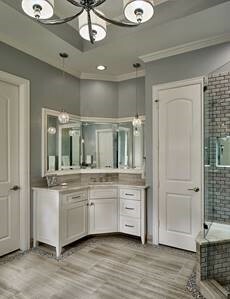 To learn how the team at Capital Renovations Group can help you with custom bathroom design or home remodeling projects, call us at 214-495-7200.